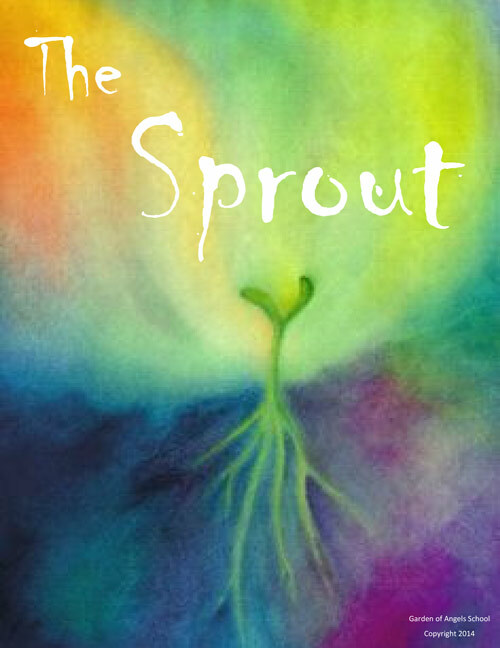 The Sprout is a monthly educational perspective from our Garden Faculty. There will be 12 educational perspectives, one each month. The intention of the Sprout is to share different views, on the same monthly theme, that our students are being exposed to. This perspective is then extended to you and simultaneously corresponds with subject matter your child is exploring and experiencing in their day. In connection with the four learning preferences we teach at our school, The Sprout gives different examples of the way these learning preferences are expressed. The Sprout may not represent all four learning preferences each month/theme. Sometimes a season, circumstance or experience can cause certain preferences to be distinctly different and at times overlap and connect, as we know they do. As The Sprout becomes a component of each theme, the wholistic benefit is that you can actively participate in research, discussions and problem- solving with your child. Your involvement will broaden their conceptual learning, heighten academic comprehension and incite deeper conversations that are important to you personally and relative to your family. As you investigate the theme together, you get a first hand glimpse into your own perspective and learning preference. The value in our approach is that as each student discovers their most natural learning style, they gravitate toward expressing their ideas, feelings and solutions in that preference. As they gain confidence and excel in their preference, they begin to stretch and take risks, by stepping into the other three learning preferences. We often observe students breaking paradigms of linear-only thinking and when this happens a multi-dominant learner is born. This is exciting because it opens up a world of freedom to them, a world where every preference matters and everyone counts. Students grow in their ability to appreciate others and manage their own needs in a balanced way, more independently. Anyone can become a multi-dominant learner, in an environment that supports and practices our methodology. Learning preferences do not go away when we grow up and they do not magically occur when we turn 21. In fact, if we have never been taught to identify our own preference, it is impossible to recognize or understand anyone else's. Garden passionately endorses the integration of learning preferences as part of our wholistic education. As human beings, if we are encouraged to purposefully move through our life responsibly, yet freely expressing ourselves, we can begin to become more tolerant and effortlessly embrace the differences of others. We hope to move beyond tolerance to grace, as communities that focus their understanding on grace become societies based on love. You can become more familiar with our practice, through attending the free Parent re-education classes we offer. Please join us in the potential miracle of what CAN BE! The Sprout is quite compelling; it must take root, germinate and grow, emerge, push forth and sprout, then finally go dormant. The Sprout is a marriage of quintessential stages that shift with the seasons and each season provides us with the hope for renewal, a perfect plot of Garden where we can revisit our experiences, consider existing mindsets, breakthrough old paradigms and dream with abandon. As the crisp Autumn air begins to invade the heat of summer, the long days of sunshine take refuge in the anticipation of a new school year. Traveling down the well -worn path of education, we open the gate to meaningful learning. Here we are transported into our own private Garden, where our students are given the freedom to gather their tools and plant their many seeds of experimentation. Students are encouraged to nurture and cultivate their own interior landscape of "self " and awaken their true identity. This is a personal journey where they observe an intimate connection between all living things, where authentic interaction is the passionate relative to genuine relationships. As the fragrance of summer bows to the gold autumn breeze, the earth brings forth a different bounty, one that is harvested by the restless spirit of curiosity, reflection and vision. This exposure shifts the way we see the world. It is exciting, for though the seasons offer us diverse and colorful blessings, they also ask us to pause for individual consideration. The seasons compliment one another so perfectly... like the four different learning preferences we teach and practice in our Garden. The seasons have this kindred relationship, this beautifully timed dance that transitions seamlessly and effortlessly, we feel the shift coming, and then it gracefully becomes the next, with only a suspicion that something extraordinary is approaching. It is like turning the page in a favorite book, entering the land of a lovely story, patiently, gloriously, and then all at once. Seasons recognize that they need one another, that there is a supernatural synergy that exists between them. Seasons showcase the others most virtuous attributes, sharing and complimenting their differences in divine celebration. When one season comes to an end, the next season seems to invisibly yet delicately embrace and nurture the planet and our souls, intuitively and faithfully. What would happen if people could be so in tune with them-selves and still acknowledge and appreciate the strengths of others, though they express themselves differently? What if we began to lift each other up and support people when mistakes are made, or forgive ourselves when we make them? What if we could create a community where differences are recognized as individual opportunities to strengthen the whole? It would be a bit of heaven on earth. It takes a conscious commitment and a desire to see others flourish and grow. It is our hope that in this Garden, while students are being academically challenged to perform at such a high standard, that they can simultaneously learn and practice these strategies by way of learning preferences and needs-based language. Our intention is to create a culture where our students develop an authentic sense of “self," while empowering others to do the same. A safe-haven for taking risks and practicing response versus reaction. A Garden where joy, love, kindness, confidence, forgiveness and grace are the names of our flowers and trees. The Summer needs the Autumn, the Autumn needs the Winter, the Winter needs the Spring and the Spring needs the Summer. The same is true with learning preferences. In order to create a confident, whole, human being, one must understand the learning preference that naturally occurs inside of them. Even with the learning preference that most closely defines us, we must be given opportunities to engage that style and understand how we can uncover all of its hidden treasures. It is most powerful when a person can begin to demonstrate a bit of mastery in all four learning preferences, this skill is known as a multi-dominant learner. This gives our students a transparent advantage to honor and employ the strengths and gifts of each preference. Rarely do children get to work with learning preferences and for that reason we are growing up generations of young people who become adults that are limited in their choices. Our students get to be part of a dynamic team that recognizes individual preferences and talents while blending and collaborating in unison with the others, as do the seasons. We can compare our four learning preferences with the four seasons, though they very often co-mingle and weave in and out of the other season’s primary characteristics. It is through these interactions with seasons and others, that we learn about the smaller, undiscovered, but genius parts of ourselves. Autumn is a season of inexhaustible influence on the mind, where the ripe earth begins to rest and gardens surrender to the soil. Where the air is still wild with leaves and the sharp smell of cool competes with the lingering warm. Autumn can be compared to the Blue Learning Preference of Analysis, Problem-Solving, Strategies, Curiosity, Math and Science. It asks the question, “What?" Winter, is a season of quiet transition, for gathering all you have learned and experienced and keeping it as close to you as possible. With its pearled horizons and promise of an icy moon, it gives us time to respect the reflective still. Winter can be compared to the Green Learning Preference of Organization, Management, Safekeeping, History and English. It asks the question, "How?" Spring is a season of rebirth, a stirring of dull roots to enlivened soil, a bursting forth of tender green grass, petal and young leaf, irrational rain shower, sunbursts then vibrant rainbow. Spring can be compared to the Red Learning Preference of Relationships, Team-building, Communication, Connection, Community, Reading and Music. It asks the question, "Who?" Summer is a season of freedom, of cloudless blue skies, azure warm waters, a buttery- hot, yellow sun, bare feet touching earth and the heavy hanging fragrance of an abundant garden. Summer can be compared to the Yellow Learning Preference of Vision, Creativity, Brainstorming, Invention, Dreams, Risk- taking, Ideas, Exploration, Acting and Art. We invite you to step through our Garden gate and be blessed by the great harvests of life that sprout, expand and mature in every season and in every preference, in every part of us. The self is a process; it is dynamic and it is changeable. Behaviors and habits can be changed and transformed. Teaching children about choices and possibilities allows them to create and recreate their “self.” Believing that “self “ is made and fixed only holds people back and impedes their growth and development. When people are presented with choices, they have the opportunity to see more than one side, their view expands and they can pause and think before responding. When people stay with the idea that their self is ready-made, the best possible outcome is that their responses will be more automatic and reactive, because that preconceived view of themselves is limiting the endless choices that a person could have as an evolving being. Our role as educators is to teach children the importance of pausing, thinking and taking time to respond to a situation. This is a process that takes time and communication. Using every opportunity to practice how to respond or how to communicate a feeling or emotion allows children to learn and create their “self” freely, without the concept of right or wrong. Through this practice, students will learn that there are actions and attitudes that if they use reactively, will create a negative situation. Here at Garden we take every opportunity to teach children to become aware of their actions and the choices they make. This approach causes our students to become more insightful. The intention of Garden of Angels School is to create an opportunity for children to comprehend that the “self” can be shaped and reshaped constantly, that is not ready- made. This Philosophy gives children the freedom to take on responsibilities at a young age and become more empathetic about other people’s feelings. There is nothing left to hold them back from being happy. This month our little sprouts are learning about their families, themselves and their feelings. As we discussed some of these topics with our Pre- k students, we came across Amazing Artist, Jackson Pollock. He said, “The modern artist is working with space and time, and expressing his feelings rather than illustrating them.” This got our class to thinking about how we can express our feelings. First, we discussed what feelings are and what to do with our feelings. Secondly, we asked the children their ideas and they came up with a list: Happy, “Play with friends and say nice things to them.” Mad, “Turn around from that person and leave.” Sad, “Check on that person and ask if they are O.K.” We discussed many alternatives as a group and we as educators offered tools for them to express their feelings for successful resolutions. Happy, “Yes play with friends, be kind, give a smile or a hug.” Mad, “Sure you can choose to walk away then get a teachers support.” We assist our students in using language that helps them express exactly what is making them feel the feelings they are experiencing. As an example, Sad is one that we can offer compassion. We may encourage the children quietly, or ask them if they would like to put it on paper. In fact, all feelings can be expressed on paper, or in Jackson Pollock’s case, a huge sheet canvas. To extend our theme and help the children understand this process on an even deeper level, we read a book called Action Jackson by Jan Greenberg and Sandra Jordan. This story reflects many firsthand reports about the summer in 1950 that Jackson Pollock created many of his masterpieces, including Lavender Mist. The story talks about how Jackson started his process of expressing his feelings, rather than illustrating them. The children already noticed from observing his artwork that he was not illustrating something they recognized from their daily life. We asked them how his art made them feel and wondered together, what was Jackson Pollock feeling when he painted these pieces? There are many factors in our environment that influence our feelings; it is what we do with our feelings that influence us to evolve. This summer Jackson was seen walking on the beach with his dog and sitting on the sand dunes for long periods of time, pondering. He was taking in the salt air, watching the sea grass flow back and forth in the wind and watching seagulls fly around, above the ocean waves. Meanwhile, in his old barn studio at home, he had an empty canvas that was sitting blank waiting for something to inspire him. When he finally got back to start painting, he walked around and around his canvas, then he sat and stared at it, with all of his materials at hand, paint cans, spatulas, knives and sticks. There are no rules in art, for him only “energy and motion made visible.” Then he started pouring and dripping and splattering all he had inside to express. It is truly a work of art the way he moves around that canvas pouring his heart out. We became inspired by this idea of painting our feelings and using our whole body motion, rather than sitting in front of a canvas, so that is what we did! The teachers set up a big refrigerator, cardboard box area, for the students to lay their canvas on. Then the fun and excitement began, as all our Garden of Angels preschoolers began to pour their emotions out, splatter their feelings and even drip their thoughts onto their canvases. The children were coming to life as was the masterpieces they created. It is amazing how much freedom art offers us both emotionally and in Jackson’s case, physically. Thank you Jackson Pollock for helping us learn how to express our feelings rather than illustrate them. This is a sweet little gospel song I remember singing with School friends and at camp outs, when I was very young. My family moved around a lot and I was the new girl in class quite often. No matter what state or town I was in, I always heard the song “This little heart of mine” and it brought a smile to my face. I tend to remember the warmth that first verse gave me. Being a young child and starting a brand new school is a huge change in a small life… especially when you just got out of diapers. It is a colossal change for Mommy’s and Daddy’s too. Every child’s needs are different as are their parents. There can be four children, who all have the same birth date and each one responds to a different need. I believe the one need that everyone has in common, no matter where you live and who you are, is the warm feeling of being loved and heard. A child listens with their heart before they can even talk. They look into your eyes for reassurance, making sure your heart is there for them. The melodic tone of your voice speaks wonders. The Garden Philosophy speaks into those needs. We provide our parents with tools to enhance their communication skills with their children. It is so important that a trust is formed between parent and teacher and teacher and child. The first day of our Butterfly Class is filled with mixed emotions from parents to child. Our Philosophy embraces all of these new feelings and helps nurture both young and old. Mom’s and Dad’s need hugs too! We assure parents and children that they are in a place where everyone benefits from our Educational Philosophy. There is no right or wrong way of doing things. Life gives you choices. What a deliciously healthy way of looking at each day. We at Garden, invite parents to come along for the ride of their life. These moments in time have great meaning. Our teachers will give your child wings to fly. We will inspire them to run toward education with their first brush stroke and create belly laughs with an amazing story about Andy Warhol. He had a huge cookie jar collection. Can you imagine all the cookies? The expression “wearing your heart on your sleeve,” comes to mind. It is the helpful heart that extends itself to shine and brighten the room with excitement, love and moments of joy. Every new year brings tiny bright faces, ready to take on the world, or at least a new friend or some cool magnet blocks. To see these children grow by leaps and bounds from the first week to the last, always amazes me. What a glorious break through! The biggest honor is when past students come visit us at 12, 16, 18 and 25 years of age. It is astounding. They call themselves “The Garden Kids,” and yes, that is who they are!